Over the next twenty-nine years, author George Sayer's first impression about C. S. Lewis proved true. He was interesting; but he was more than just that. He was a devout Christian, gifted literary scholar, best-selling author, and brilliant apologist. 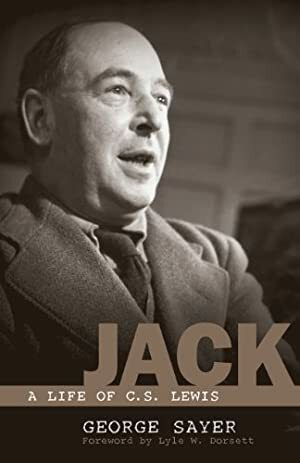 Sayer draws from a variety of sources, including his close friendship with Lewis and the million-word diary of Lewis's brother, to paint a portrait of the man whose friends knew as Jack. This book is an intimate account of the man who helped-and through his works, continues to help-generations hear and understand the heart of Christianity. Track It. This book has been $10.92 within the past year. Log In to track Lyle W. Dorsett on eReaderIQ. to be notified each time the price drops on any book by Lyle W. Dorsett. to stop tracking Lyle W. Dorsett. We started tracking this book on March 6, 2011. The price of this book has changed 78 times in the past 2,972 days. The current price of this book is $15.33 last checked one day ago. This lowest price this book has been offered at in the past 90 days is $13.41. This lowest price this book has been offered at in the past year is $10.92. The lowest price to date was $1.99 last reached on September 1, 2014. The highest price to date was $17.84 last reached on May 29, 2018. This book has been $17.84 one time since we started tracking it. We last verified the price of this book about one day ago. At that time, the price was $15.33. This price is subject to change. The price displayed on the Amazon.com website at the time of purchase is the price you will pay for this book. Please confirm the price before making any purchases.